Is Geo-Targeting Wireless Emergency Alerts Possible? 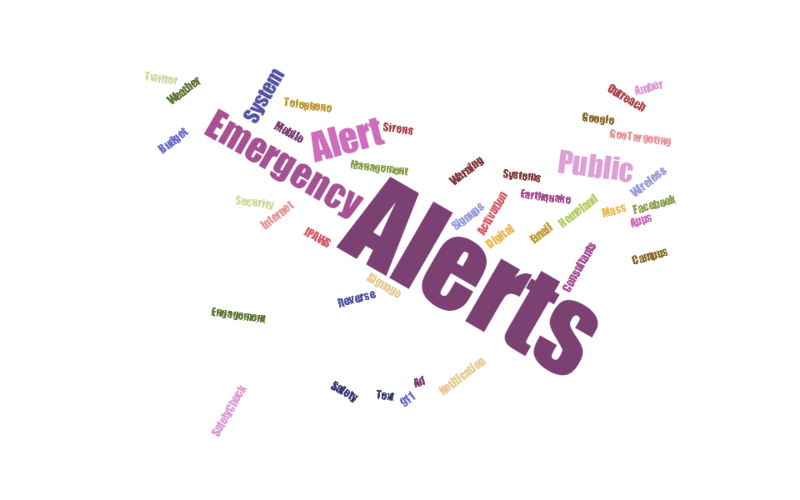 | Emergency Alert System | Galain Solutions, Inc.
Is Geo-Targeting Wireless Emergency Alerts Possible? 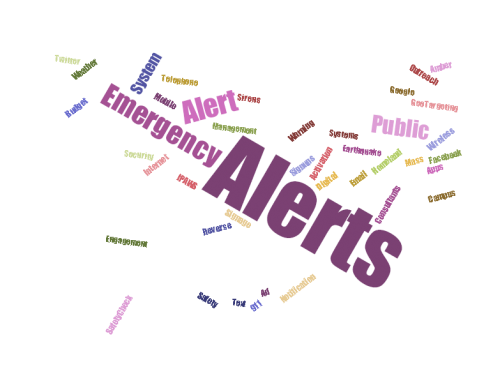 Home/Alert & Warning News, IPAWS CMAS/WEA, Technology/Is Geo-Targeting Wireless Emergency Alerts Possible? 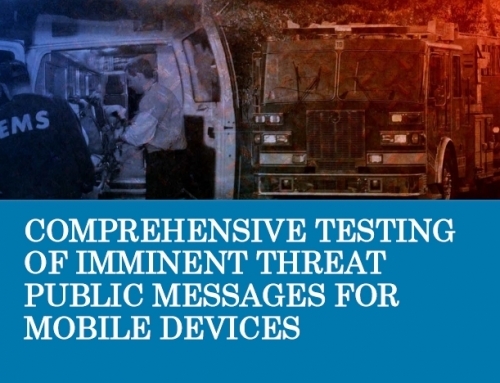 Have mobile carriers made it possible to target alerts from the new national cellular alerting system to geographic areas smaller than counties? Are they, or aren’t they? It seems that way. Under the Federal Communications Commission (FCC) regulations that established the Commercial Mobile Alert System (CMAS), now officially known as Wireless Emergency Alerts (WEA), alerts were to be sent to an area no larger than a county. Some local agencies have been complaining that a county is not a small enough geographic area. Although we can’t confirm it officially, we understand the carriers are listening. From what we hear, the major carriers now have the capability of more precise geographic targeting over much of the country. 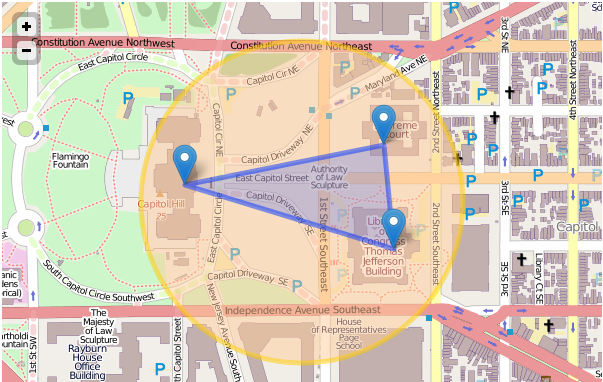 How Do Targeted Geo-Alerts Work? As the slide shows, WEA alerts are sent as signals from cell towers to be received by WEA-capable devices within the signal’s range. From what we understand, many carriers can send alerts to specific towers based on the geographic polygon selected by the alert originators. WEA geographic targeting will not be as precise as other alerting tools (say, alerts sent to one side of the street, but not the other). After all, we’re dealing with cell broadcast and the physics of radio signals. 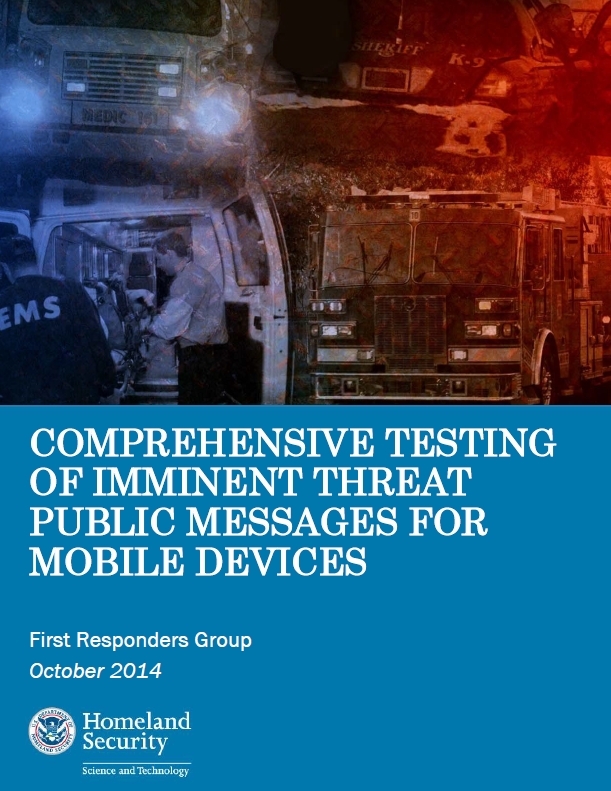 But, more precise areas than a full county apparently can be targeted throughout much of the mobile carrier networks. What Do Targeted Geo-Alerts Mean for Emergency Alerting Agencies? t’s a bit difficult to get a complete and accurate account of WEA geographic targeting capability at this point. The carriers treat their WEA delivery differently, and they’re cautious about publicly discussing what their networks can and can’t do. From what I understand, the FCC is considering a rule-making change that would clarify geographic targeting capability of WEA, but haven’t decided what to do yet. So, this seems like progress to me. 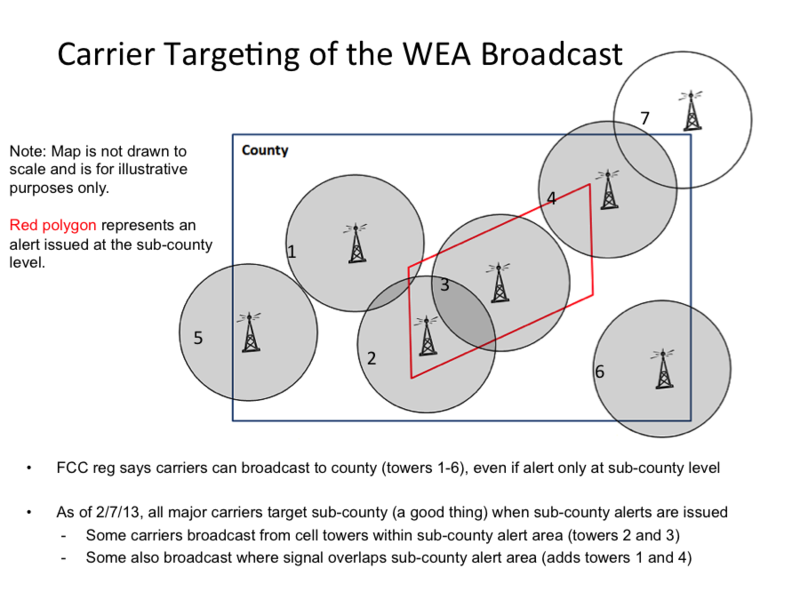 When WEA was first rolled out, no one was suggesting that WEA alerts could be targeted to areas smaller than counties. That seems to be changing. Local authorities who may have been waiting to sign up to use WEA may want to take another look at going through the sign-up process. If you need help signing up, let us know and we’ll point you in the right direction.